Our brand new 10,000 square foot showroom in Miami ranks as the largest showcase of trade show exhibits and point of purchase display options in South Florida. 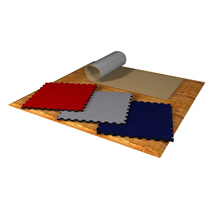 We offer every possible display solution in the market – from popup displays, to banner stands and truss systems, to table covers and portable flooring. 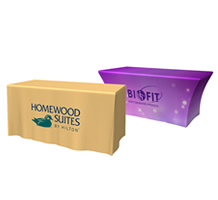 Our in-house large format graphic printing capabilities, including a new 8’ dye sublimation machine, allow us to accommodate to tight deadlines with superior quality results. 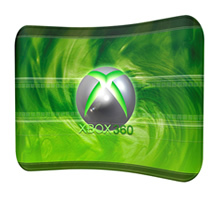 And as direct manufacturers we can offer our customers a unique combination of reliable quality and unmatched prices. exhibitDEAL is indeed the best DEAL! Your trade show display is like a satellite office when you are at a trade show. Here you have a chance to make new contacts, meet new prospects, reconnect with current clients and present your products and services to a general audience. There are many factors that can translate into a successful trade show experience and one of the most important factors is having a trade show display that invites visitors and gets noticed. Trade show displays should have the company’s name and logo front and center; no one is likely to visit your trade show booth if they don’t know who you are. Your current clients will recognize you and drop by and prospective clients will become familiar with your name. But trade show displays should not only focus on name recognition. Highlighting your products and services on your trade show display is also a good idea so that passersby can quickly see what it is you do. Your trade show booth should present your company and your products and services to trade show audiences. Well organized trade show booths with eye catching displays and banner stands invite visitors to learn more. 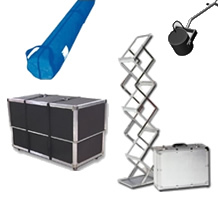 And don’t forget to complete your trade show booth with literature racks and portable tables. Your company’s commitment to quality should be reflected in your trade show booth – and quality trade show booths don’t have to cost a lot when you work with the right company. ExhibitDEAL is one of the market leaders in trade show displays – we handle everything from standard-size exhibits to custom-built booths. 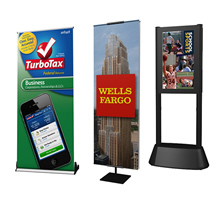 ExhibitDEAL is The Original Exhibit Wholesaler offering portable trade show exhibits at nearly half the market rate. We specialize in trade show exhibits and keep our prices low by not having a lot of overhead or sales people on commission. We offer a 100% money-back guarantee on our trade show exhibits because we are so sure that we will exceed your highest expectations. 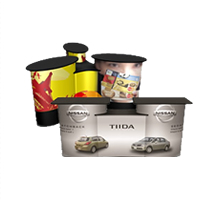 Our product is trade show exhibits, our byproduct is quality. 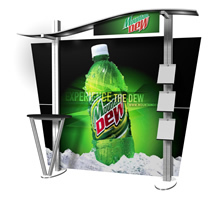 ExhibitDEAL offers a 21-day trade show display rental package. 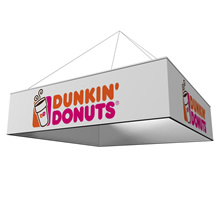 Any one of our 20-foot and 10-foot pop-up displays is available for rent so you can choose the size and add-ons that are best for your company. 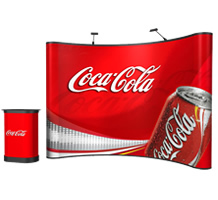 We also give you the option to buy if you decide you would like to purchase your trade show display rental. 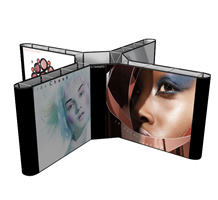 This is a great way to go if you find a pop-up display you like and decide to use it for multiple trade shows. 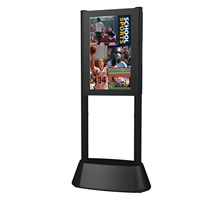 Give ExhibitDEAL a call at 1-866-577-DEAL to discuss trade show displays. 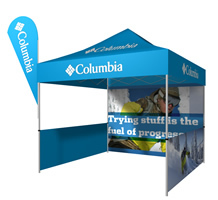 Our experienced customer service staff can help you plan your trade show booth. If you prefer, you may send an email to our sales staff and they will answer any questions you have about trade show exhibits.